Is the UK prime minister David Cameron listening?.. The OECD said multinational companies were increasingly dodging taxes by reporting profits in countries other than where their main revenues were generated. 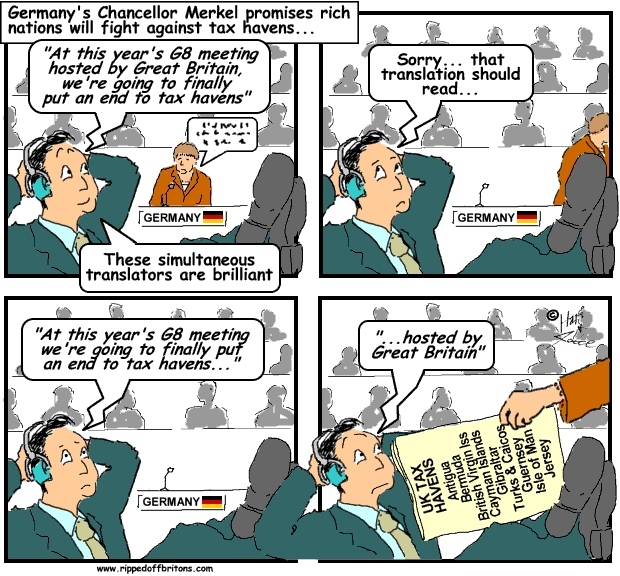 “We're going to fight to finally put an end to tax havens at this year’s G8 meeting hosted by Great Britain," says German Chancellor Angela Merkel.